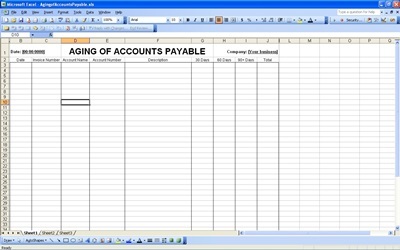 Our account payable spreadsheet helps many people keep track of accounts owed to creditors and suppliers. Download this account payable template for free and keep track of outstanding expenses for your business or home office. This simple template is easy to use and can be implemented instantly. We offer this account payable template for free as a service to our visitors. If you find this account payable template useful, share this page with your friends and coworkers and spread the account payable love. And don’t forget to check back frequently to see what new templates we have uploaded. Whenever possible, our accounting and other spreadsheets, calendars and templates are offered for free. Come back and see us soon and we’ll make sure you can always find the perfect template for whatever you may need.